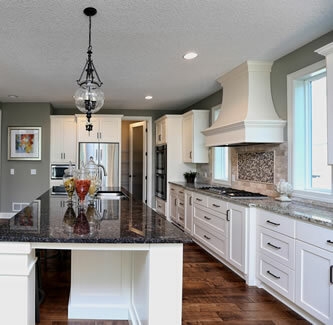 At A & K Custom Cabinetry we create custom kitchen designs to suit every customer's style and needs. 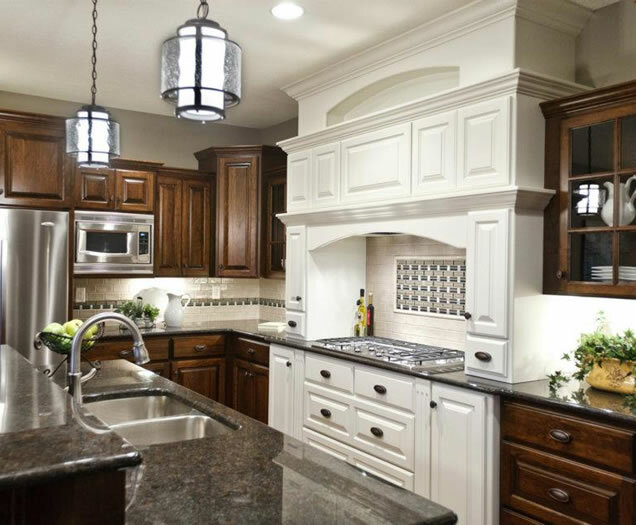 Our custom kitchen cabinets are built with the highest of standards in both quality and design. 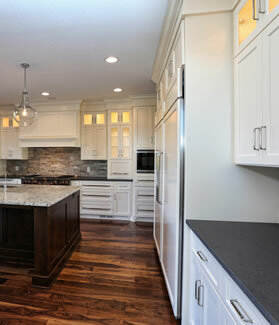 With over 25 years of experience in designing and constructing custom kitchen cabinets no project is too sophisticated for A & K Custom Cabinetry. With our custom kitchen cabinets we make every cabinet specifically for you and your space. 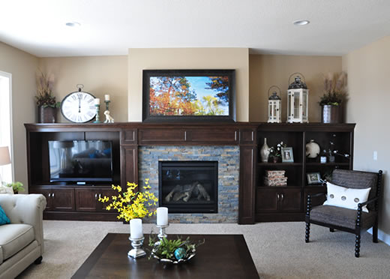 With a wide variety of selections at A & K Custom Cabinetry you can choose from a variety of wood types, including but not limited to: Oak, Maple, Hickory, Cherry, Birch, Pine and Alder. We have worked with many others and have the ability to get many other types upon your request. Quality hardware components are purchased from reputable, local businesses, giving customers a wide selection of hardware to choose from. A & K Custom Cabinetry uses solid wood face frames for its' cabinetry and makes a variety of door styles which include, but are not limited to, true raised panel doors, slab doors, and mission style. The cabinet interiors are constructed out of Melamine, which is durable and easy to clean. There are a variety of options available to increase your productivity and organization in the Kitchen area with our custom designs. A few examples are roll-outs, soft close doors & drawers (which minimize noise), lazy susan's, recycling centers, and wine racks. We also make all of our cabinets with adjustable shelving to maximize your space. 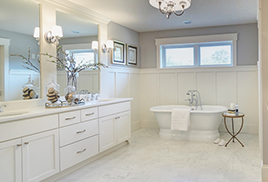 A & K Custom Cabinetry's design work adds tremendous style and elegance to any room. A variety of crown molding is available. These photos depict kitchen remodel and new home construction projects.